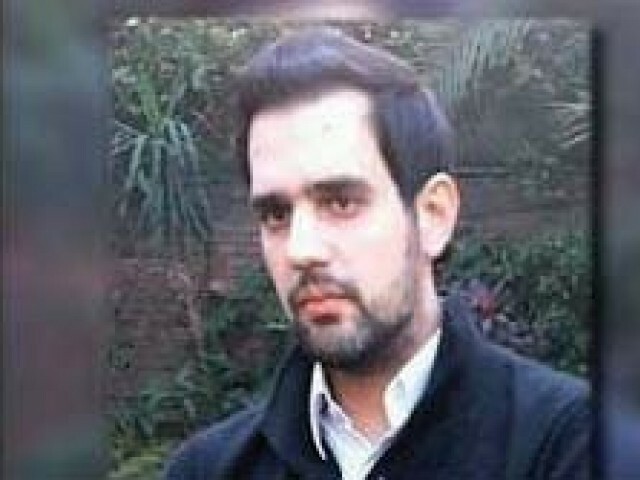 LAHORE: The spokesman of a Barelvi group that had called for the assassination of Salmaan Taseer is under fire from colleagues for condemning the kidnapping of Shahbaz Taseer, the slain governor’s son. Ziaul Haq Naqshbandi, the spokesman for Tahafuz Namoos-i-Risalat Mahaz (TNRM) and president of the Fikr Writers Forum, issued a press statement a few days ago condemning Shahbaz Taseer’s abduction and calling on religious parties to do the same. He said that it was un-Islamic to punish someone “for the sins of his parents”. Naqshbandi told The Express Tribune that he had been criticised by his party colleagues and they were threatening to expel him for issuing a statement “in favour of the son of a blasphemer”. Salmaan Taseer was gunned down in January by a member of his security detail, Mumtaz Qadri, who boasted that his motive was to punish the governor for his alleged blasphemy through opposition to the ‘blasphemy’ laws. TNRM representative Mufti Pir Afzal Qadri had at an earlier public rally declared that it was permissible to kill Taseer as he had disrespected the Holy Prophet (pbuh), and his killer would go to heaven. Naqshbandi, speaking to The Tribune on Saturday, justified the TNRM campaign against Taseer, but added that it was unfair to target the rest of the family. He said many clerics agreed with him about Shahbaz, but some “illiterate and fanatical” clerics were demanding that he withdraw his statement. “People in my own party have been calling me and saying to my face that I have committed a blunder,” he said. The TNRM spokesman said he stood by his statement. He said he didn’t think a religious group was behind the kidnapping, but whoever it was had committed an un-Islamic act and was not a representative of Islam. “The religious parties must come forward in support of Shahbaz Taseer’s recovery to portray the true image of Islam,” he said. Published in The Express Tribune, September 4th, 2011. Previous The Arab Spring – Americans need to ‘engage positively’ to have influence in the area!